If one were to ask what the term BRICS represents (probably not a question for the “man on the street” where the acronym remains largely unknown) in the corridors of power, the answer – at least in Russia – would most likely be that it is something related to the world economy and emerging markets. More discerning responses may perceive it as a “developing grouping” useful for negotiating a common position in the G20 (the closest thing we have today to a global economic regulator). Such an understanding is reflected in the fact that in both government and academia, the G7, G8, G20 and BRICS are seen to involve much the same actors and or divisions. This notion is further illustrated by the fact that a BRICS meeting of heads of state is scheduled to be held on the sidelines of the Saint Petersburg G20 Summit – as if it were a subsidiary of the former. However, merely viewing BRICS as an economic grouping undercuts not only the options this international partnership has at its disposal, but also the potential role it will have in future global politics. Intentionally or not, in the West BRICS is largely associated with a cluster of dynamically developing economies. It is true that the dynamism, which initially prompted singling out the four founding countries (Brazil, Russia, India and China) as profitable investment markets, has been lost in the decade since the acronym was first coined. Hence the numerous attempts to present BRICS as a fading phenomenon because its members are currently experience growing economic and systematic problems. One could read a lot in the most respected publications, like The Economist or The Financial Times, as they raise the alarm about the “end of the era of BRICS”, “The fall of BRICS”, “BRICS remaining in the past as a global economic phenomenon” and BRICS as an “expired concept”. Foreign Affairs writes about “Broken BRICS”, stressing that perception of these countries as future economic leaders is not correct. I believe this a case of identity substitution. Indeed, BRICS started as a grouping of fast-growing economies but has swiftly become a political project, and this is what holds it together. The idea that slowing growth would cause the downfall or dissimilation of BRICS is simply irrelevant if you understand the role this grouping plays as a union of reformers. This union emerged in response to imbalances in the world economy, and to the political turmoil at the beginning of the new century. If there were no Western dominance, the BRICS countries would not have felt the need to join hands to resist it. It is not a union of economic integration, but a joint project by national elites to defend national interests and to achieve a greater role in global governance. BRICS so far has been an unprecedented example of “a soft ascension” which isn’t connected with violence, wars and hegemonic aspirations for global influence. It creates objective possibilities for “partnership” with developed countries in the creation of a polycentric world. BRICS is not an instrument to be used “against somebody”; this serves no one’s interests. All of the BRICS nations, or at least their political class, see Western standards of living much as the orienteer for themselves, and they hold vast interests in the Western world. However, they are not satisfied with their role in the existing world order. But a power shift in world politics is not a foregone conclusion, and not only because of unfortunate, yet predictable Western opposition. It is hard to argue that BRICS is vulnerable in itself because of its inhomogeneity and bilateral problems between the countries (especially China and India). The social and economic problems BRICS countries face are enormous, and the degree of dependence on the West in technology and capital transfer is decisive. 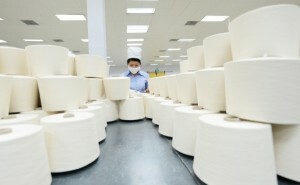 Furthermore, BRICS countries resort to Western markets much more than they do of each other. It should not be forgotten that much of the “real sector” in industry of these countries actually belongs to transnational corporations, and the “virtual sector” is very weak. Each country in the grouping pursues its own economic and political interests through the BRICS machine, and there could arise situations where they contradict each other. There is even talk of Northern (Russia and China) and Southern (Brazil, India, South Africa) wings of BRICS. Others note that BRICS now resembles a “star-like” structure with China in the centre, as the volume of relations between each of these countries separately with China exceeds the bilateral relations between them. That puts China in a unique position. It might be tempted to use BRICS to promote its own interests – for example, in pursuing the export of manufactured goods and diminishing the role of the US dollar – which theoretically could infringe on other countries’ long-term interests. Other BRICS countries could fall to the same temptation to pursue egoistic interests. Nevertheless, all of the above does not mean this formation is unviable. It probably won’t ever become a military-political alliance like NATO simply because it was founded on much different principles. BRICS is a union of civilisations, not only nation-states, and the need to maintain its own identity – as well as to cooperate on the basis of strict equality – is overwhelming. Although the prospects of institutionalisation are still unclear, BRICS has steadily developed from a dialogue-based forum into a quasi-organisation. The reason is that despite centrifugal forces, the countries have common interests which become easier to defend when they band together. These interests include reforming the existing international financial and economic architecture; non-acceptance of power politics and infringement on state sovereignty; responding together to global threats and challenges; addressing numerous similar challenges and problems for modernisation; capitalising on the complementary nature of economies; and mutually assisting in knowledge-driven development. However, this is not enough for a future-oriented agenda. In order for BRICS to remain relevant, the member states must establish and jointly present to the world community a development model which incorporates the positive sides of the existing global economic and financial order and overcomes its shortcomings, especially the ones which create global imbalances favoring developed nations and the “virtual” economy. That’s probably easier said than done. Maybe the concept of sustainable development – if seriously reworked to consider the interests of developing nations – could be a basis for such a new ideology. Perhaps a whole new social-economic concept – tentatively called “new capitalism” or “market-based humanism” should emerge. A group of first-rate scholars and thinkers, a “wise men’s club” (not limited only to BRICS representatives), could be created to tackle such a gargantuan task. In the meantime, the BRICS “external” agenda should be designed based on finding the consensus and concentrate on non-contradictory issues. – To strive for humanisation in international communications by pursuing coordinated information policy uplifting human spiritual needs. 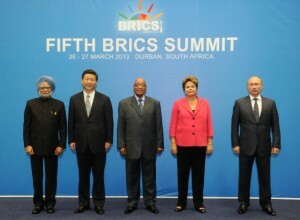 BRICS could initiate a step-by-step creation of a common information space for the member states. Russia sees in BRICS a chance to regain a place in the 21st Century world order, which would be markedly different from its role as a “lost superpower” of the 20th Century. BRICS’ value as an instrument of a polycentric world is steadily increasing in Russian strategy, which could be clearly seen by analysing Foreign Policy Concepts from 2000 to 2013. Particularly significant in this regard is the February 9, 2013 adoption of the Concept of Russia’s Participation in BRICS, which states that the creation of BRICS is one of the most meaningful geopolitical events since the beginning of the new century. Russia holds that BRICS should transform into a multilateral strategic partnership on the widest specter of global economic and political issues. Moscow’s role in BRICS could be that of pursuing the mission of finding a common denominator for the vastly different countries, as well as serving as a “bridge” to the West – of which Russia is a part, albeit a distinctively separate one. It is seen as an essential step that BRICS gradually transform itself from a forum of informal dialogue used to coordinated positions on a limited number of issues into a full-scale mechanism for strategic and ongoing interaction on key issues of world politics and economics. It then becomes vital to develop within BRICS a system of non-formal political and operational mechanisms, which enhance dialogue on new means of cooperation between states. It is equally urgent to promote dialogue on the pace and concrete forms of possible institutionalisation of BRICS, including the thorny issue of its enlargement (not on the agenda now, but certainly in the future). BRICS should also enhance its dialogue with major international and regional organisations, leading “emerging economies” and developing countries, and on coordinating efforts undertaken in third countries. Russia could and should propose new initiatives in all of these areas.